What does the name “Biltmore by the Sea” conjure up in your mind? A hotel, right? All the Biltmores I’ve seen are hotels. This vote came in a misguided effort to force the owner to operate Venice Suites as an apartment building with affordable rents, which neither the VNC nor the City has any ability to enforce in this case. The VNC also ignored the 76 Venetians who turned out to speak in favor of the hotel use, which was three times as many as those who spoke in opposition. I suppose we could credit the VNC’s confusion because the original City of Venice zoning code did not differentiate between hotels and apartments, and the Venice municipal code taxed them identically. State law at the time defined the Biltmore as a “lodging house,” i.e., “a hotel that does not serve food,” with no minimum length of stay. When Venice residents voted in 1925 to be annexed to the City of Los Angeles its zoning code was carried over…and the hotel use continued for decades. More recent City records (including a building permit from 1952) also show the building as a hotel. 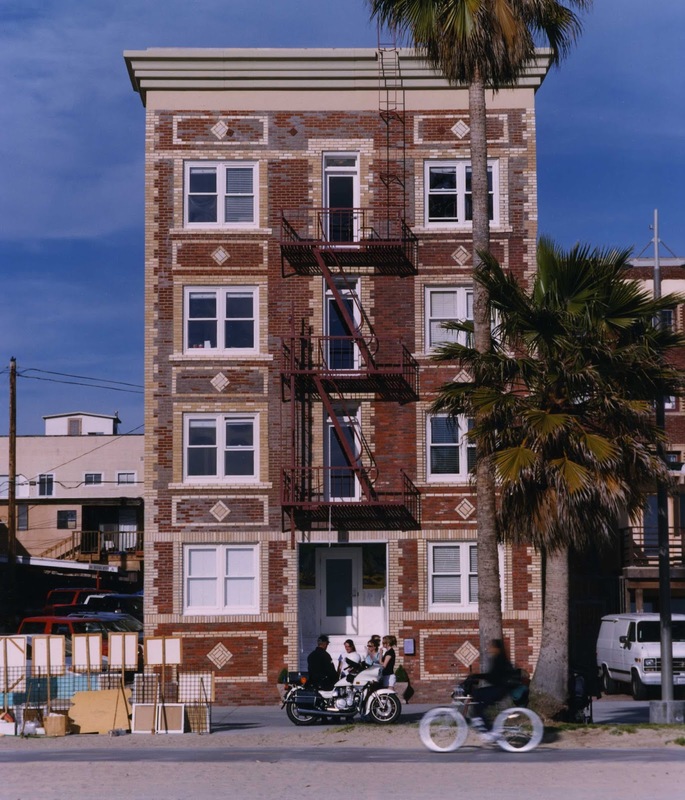 The application before the VNC was for“Transient Occupancy Use,” which would continue Venice Suites’ historic use, allowing stays of one night, one week, one month or more. The building would remain under Los Angeles’ rent control law for any stays of more than a month, so anyone renting long-term would enjoy the City limit on rent increases and the bar on arbitrary eviction. Inevitably, Venice Suites/Biltmore by the Sea lies at the knotty intersection between visitor demand for short term rentals (STRs) and Venice’s lack of hotels to address that demand. This demand for STRs is a historical fact. Long before anyone dreamed of Disneyland or Las Vegas, Venice was the West Coast’s convention destination, amuse- ment park and tourist resort. Indeed, Harrah’s Hotel was born at Venice Beach before relocating to Reno, Nevada. In the early part of the 20th century most of the residential units in Venice were built for vacationers and short-term occupancy because there were few jobs to support a large full- time, resident population. Biltmore by the Sea, now Venice Suites, was one of these buildings. Our lack of visitor serving rooms can easily be seen in comparison with our neighbor to the north. While Santa Monica has over 3,800 hotel rooms and 8 million visitors per year in a city of about 93,000 residents, our town has only 450 hotel rooms and 16 million visitors per year with a population of about 40,000. By Santa Monica’s standard, we should have at least 1,900 hotel rooms. This scarcity of hotel rooms in Venice drives the strong demand for AirBnB uses in apartments and residences, which some residents find objectionable. With 32 rooms, Venice Suites relieves a portion of that demand. A majority of the VNC mistakenly concluded that by opposing the continued hotel use that Venice Suites would be required to lower rents to an affordable level for long-term renters. They ignored the City Housing Department’s earlier determination under the Mello Act that there were no affordable units in the building and there had not been any for several years, so the City has no legal authority to impose a rent rollback. If short stays are prohibited at Venice Suites, the rooms can legally be rented as luxury, furnished apartments with studios at $3,000 per month and one bedrooms at $6,000 per month. That would leave hundreds of visitors each month who want to stay less than 30 days in Venice chasing AirBnB rentals. The City would lose approximately $300,000 in hotel taxes each year, since stays longer the 30 days are not taxed. This will also be in defiance of the Coastal Act’s requirement that the City provide more, not less, “visitor serving” facilities so more of the public can enjoy the beach and ocean – like we do on a daily basis. The VNC also ignored the fact that overnight visitors have a strong, positive impact on employment. They bring with them disposable income that fuels retail and restaurant sales which in turn supports local jobs – both at Venice Suites (14 full time jobs) and in local restaurants and shops – and generates sales and transient occupancy taxes that support city services. A hotel unit also has one half the parking impact of an apartment unit, which is significant in parking-starved Venice. The increasing popularity of Uber and Lyft suggest that the parking impact of hotels will drop even more as vis- itors forgo car rentals, especially in walkable and bike-friendly areas such as Venice. Venice Suite’s almost century-long use as a hotel, its positive impact on the local economy, and the tremendous visitor demand for hotel rooms all argue for the City to ignore the VNC’s advisory vote and approve its continued hotel use.